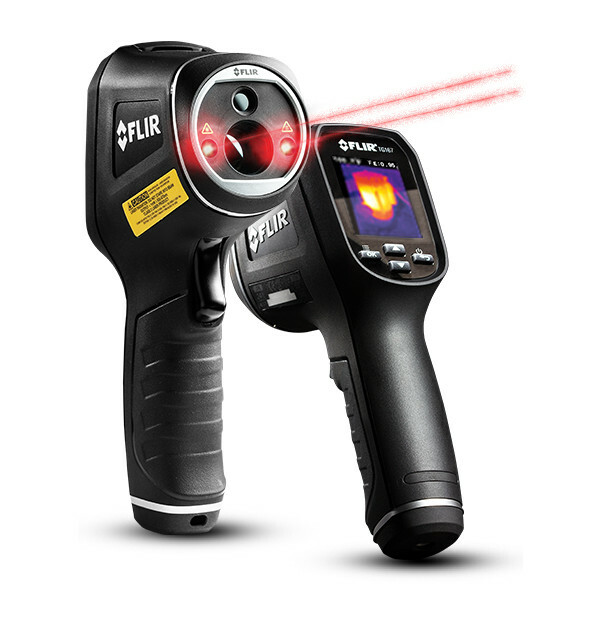 The FLIR TG167 Spot Thermal Camera bridges the gap between single spot infrared thermometers a full feature thermal camera. Equipped with FLIR’s Lepton® micro thermal sensor, the TG165 lets you 'see' the heat so you know where to reliably measure it and allows you to store images to micro-SD card for record keeping. The main difference between the TG165 and TG167 is the lens: the TG165 is a wider angle view, generally more suitable for building use, whereas the TG167 has a narrower view, more appropriate for electrical use, etc.